After this winter, I think we are all ready for some warm spring and summer days, flowers blooming, smell of fresh cut grass in the air, and…. oh, yeah, seasonal allergies. allergies. This leaves many people wondering if it’s allergies, a cold, or both? allergies seem worse than ever. When it comes down to it, they all fall on common ground – your immunity, and allergy medicine such as decongestants and antihistamines does nothing to help your immunity. What makes this a bit tricky is that there are many strings pulling at your immunity; diet, vitamin D levels, digestive health, stress, sleep, and of course, inflammation. 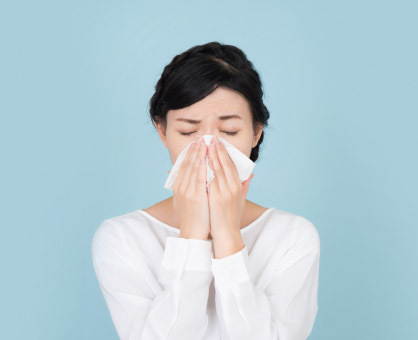 Here are some of my favorite, and simplest strategies to support your immunity to help you cruise through allergy season. Make sure your vitamin D levels are optimized, this is between 60-80 ng/mL when blood tested. Average dosages tend to be between 2000 to 5000 units daily year-round. Gut health is critical, and one place I like to start is a quality probiotic, such as Probiotic GI from Pure Encapsulations found behind the pharmacy counter. As far as natural supplements to directly target allergies and immunity, I highly recommend Aller-Essentials from Pure Encapsulations. Aller-Essentials is designed to not only put a halt to active allergies, but to stabilize the body’s cells from reacting, casting a wide net to target the inflammation, irritation, and immunity at the source. What I am excited about is that Pure has improved Aller Essentials from the previous formulation. Now they have added Epicor to the already comprehensive formulation of quercetin, hesperidin, tinospora, vitamin C, and polyphenols. Epicor is my go-to immune support for cough and cold season, so it makes sense to use it for allergies. Epicor is a special fermentation of brewer’s yeast providing immune and antioxidant activity, minerals, and prebiotic activity which begins to work within hours. Talk to us at the Pharmacy counter, to make sure all your bases are covered for this allergy season.